Exchange 2019 runs on Windows 2019 only. There are so much security features in Windows 2019 that Exchange is using, features that are not available in Windows 2016. The preview version was running on Windows 2016, but the final version won’t. Windows 2019 Server Core is the recommended platform because of the lower footprint and attack surface. Required Forest Functional Level is Windows 2012 R2, which may cause issues with customers I guess. Minimum recommended RAM is 128 GB. Be aware, this is the recommended amount of RAM, not the required amount of RAM. This amount comes from .NET usage in Windows 2019 that does much better performance with lots amount of memory. If an Exchange 2019 server does not have 100GB or more, it won’t take advantage of a lot of these improvements. There’s also a correlation with the amount of processors in the Exchange 2019 server, and this 128 GB is related to 48 processors. If you are using less processors, the memory usage decreases as well. Exchange 2019 will (at least for now) only be available via Volume Licensing. Discussions are going on whether this will lead to piracy via download sites. Microsoft is aware of this, but at this moment it’s only Volume Licensing. Related to the previous bullet, Search is improved (or rewritten actually) using Bing technology. The indexing information is no longer stored in a separate directory on the disk, but it is stored in the Mailbox, and thus inside the Database. This means that passive copies have the same information, and the same search indexes. A failover will now never fail because search is not healthy in replication, speeding up fail-over times. And Microsoft also released the documentation for Exchange 2019, which can be found on https://docs.microsoft.com/en-us/Exchange/exchange-server?view=exchserver-2019. Unfortunately this session is not available online yet. It is recorded, but somehow not yet available. As a side note, Microsoft has organized a side meeting with the Exchange and Outlook Product Groups and a couple of (Exchange) MVPs. In this 2 hour session we could have a decent discussion with all Program Managers in the room, and we were able to express our deepest concerns regarding the announcements and presentations at Ignite. Some people prefer to do this on Twitter, but we think it’s better to discuss with the Program Managers directly. They gave us additional background information, but at the same time were impressed by the feedback we gave them, and will take it back to HQ. They won’t change the product of course, but the marking messeag and documentation (background information) around Exchange 2019 will certainly change. Another interesting session was BRK3148 “Securing Exchange Online from modern threats”. It all about security, and what steps the bad guys usually take to attach a platform like Exchange Online. And it’s incredibly easy. Every heard of ‘password spray’? This a brute force attack, but the other way around. The bad guy has a list of usernames (UPN = Email address to make their life easy) and standard passwords like Summer2018 or Spring2018. But with a spray attack they take a password, and try this against all users. If not successful then try the next password against all users in the list. Incredibly simple, and unlike a regular brute force attack this does not result in locked out accounts. And we all know it, it’s a matter of little time before a simple password is compromised. In the demo the presenter shows how easy it is, and once logged on how to continue with elevated privileges. Exchange hybrid is also a hot topic. Last year Jeff Kizner did a session on hybrid, and announced Microsoft was working on removing the last Exchange server when all Mailboxes are moved to the cloud. Expectations were high when attending this years session BRK3143 “Hybrid Exchange: making it easier and faster to move to the cloud”. The first part of this presentation is about the work done on the Organization Configuration Transfer in the Hybrid Configuration Wizard. Still not finished, but a lot of the configuration information cannot be copied over to Exchange Online. It is copying to Exchange Online, there’s no synchronization. So when making changes in Exchange on-premises, they are not transferred automatically to Exchange Online. You have to either make the changes in Exchange Online, or run the Hybrid Configuration Wizard again. Completely new (and not available yet) is the Hybrid Agent that runs on-premises. The hybrid agent works with an endpoint in Microsoft Azure, and is outbound HTTPS traffic only. 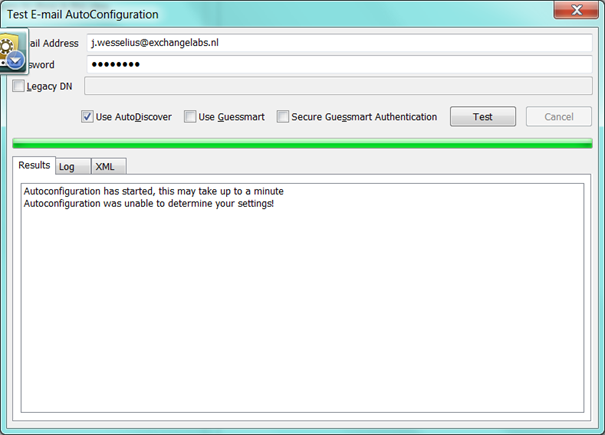 Exchange Online is configured with the HCW to use the same endpoint in Microsoft Azure. This way only outbound connections are used, and it is no longer needed to make all kinds of firewall changes when configuring Exchange Hybrid. 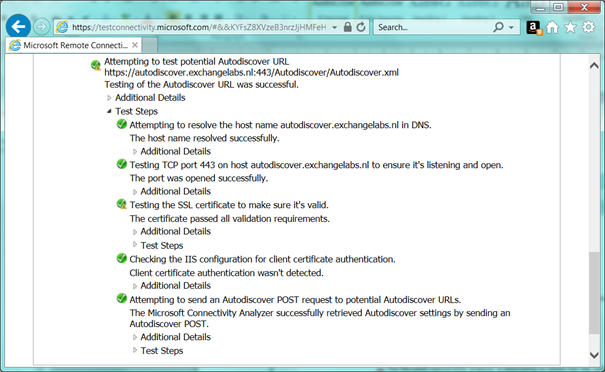 Even better, when Autodiscover and Exchange on-premises are not published this still works, since only Outbound connections are used, and configuration information is stored safely in the endpoint in Microsoft Azure. At this moment it is only going to work with Free/Busy and Mailbox moves using the MRS, but it’s a good start. Next versions can include more features, and using this technique everything is possible, imaging Microsoft Search that’s searching your on-premises Mailbox servers…. I’m not sure if that’s a good idea, and I have an idea how the average security officer will react to a solution like this. Some people will refer to this as a man in the middle that has full access to your Exchange environment (something with Exchange Trusted Subsystem). Also, the Hybrid Agent only supports auto-update, and I’m not sure if I want that to happen on my Exchange servers. The good news, you can run the Agent on dedicated servers instead of the Exchange servers, as long as these servers have a decent Internet connection. The Exchange Product Group released a blogpost on both topics, which can be found on https://blogs.technet.microsoft.com/exchange/2018/09/26/announced-improvements-to-hybrid-publishing-and-organization-configuration-transfer/. Unfortunately not a single word about that last Exchange server on-premises, so at this point this will need to be available for some time I’m afraid. As already mentioned in the first section of this blog, Microsoft introduced Metacache Database (MCDB) in Exchange 2019. 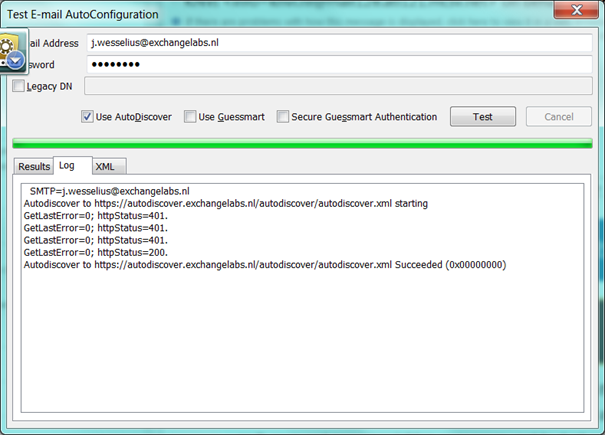 Exchange 2019 will now work in the regular JBOD solutions, but now added are SSD disks in the servers. These SSD disks are used as an additional cache (special data from the mailbox database is stored additionally on the SSD disks) to speed up performance. Think about the message table, mailbox information, message metadata information, all kinds of information that’s regularly needed by Outlook clients, and can now be retrieved by the Exchange 2019 at a much faster pace. Personally I think this is a very impressive technology, but I don’t see it appear at customers anytime soon. It is build on top of a DAG (should be no issue), but is also using AutoReseed as outlined in the Preferred Architecture. The SSD versus spinning disks ration is 1:3, so for a 12 disk Exchange server, three SSD disks are needed. Now, I don’t see a lot of customers deploying Exchange 2019 this way, at least not the smaller organizations, but maybe these customers are better off with Exchange Online, but that’s a different discussion. The technology is impressive, and I’m looking forward to test this is a lab. Unfortunately this feature is not yet available in the preview version of Exchange, so you have to wait until the official release of Exchange 2019 later this year. Ignite is an annual event held in the US, and it’s big. This year approx. 30,000 attendees from 5,000 organizations worldwide. That’s a reasonable sized city walking around in a conference center, and it’s pretty impressive to see all this. Ignite starts with keynote sessions. The opening keynote is also a vision keynote, delivered by Satya Nadella, CEO of Microsoft. It should not be a surprise, but it’s all about the cloud at such a keynote, “intelligent cloud” and “intelligent edge”, how the various applications and services can use this, for the benefit of the user. Data in the cloud, software in the cloud, Artificial Intelligence (AI), Machine Learning (ML), all services, organization and users benefit from this. AI and ML sound scary, especially if you are a fan of science fiction movies where computers take over, but there are better solution. For example, in Exchange Online Protection Microsoft is receiving billion and billion of messages. Al these servers send out all kinds of monitoring information, and this is analyzed using AI and ML. Based on this, it is possible to predict certain actions, and take pro-active measures. The same happens in Azure Active Directory. It is now possible to check where logins are coming from, what kind of attacks are happening or if an attack is going to happen. You can use this yourself, and by doing so create a safer environment for you Azure and Office usage. That’s what you see in a lot of sessions here at Ignite, security, security and security. Oh, did I already mention security? And be honest, Microsoft has to, don’t they? If Office 365 or Azure is massively compromised, it will take out customers’ trust and potentially lose business…. Another area where you can see the influence of the cloud is in desktop application. Microsoft Search is completely rewritten, and will now deliver a consistent search and search result throughout all application, where you are working in Outlook on the Web, PowerPoint, Windows 10 or Outlook, it will all give consistent results. Related to this in Microsoft Office is ‘ideas’. When working in PowerPoint on a presentation, you can use ‘ideas’ to enhance your presentation. A demo was given in PowerPoint with a list of bullets with several countries. Using ‘ideas’ it is possible to add information regarding these countries, and this information is retrieved from Microsoft Search. Also information regarding people in Outlook, where additional information can be retrieved from LinkedIn. Very useful usage of cloud technology in day to day applications. Technical keynotes are more like what the various applications and services are doing and how these can take advantage of the cloud. I’m more in the Workplace and Microsoft 365 arena, so two keynotes about transforming your workplace to Microsoft 365 and transforming collaboration and communications with Microsoft 365. Amazing to see how Microsoft Teams is taking a big role these days. In the Microsoft cloud, Microsoft Teams will take over from Skype for Business Online. Starting October 1st, new smaller tenants will not get Skype for Business Online, but only Microsoft Teams. Skype for Business Online will continue to be available for existing tenants, but customers are encouraged to move from Skype for Business Online to Microsoft Teams. You might have seen the following PowerPoint slide before, it’s about the Microsoft teamwork vision, the Inner Loop with people you work with often and the Outer Look with people you with cross organizations. For the Outlook Loop Yammer is still being used, and I’m a bit surprised with that. Personally I expected Yammer to go away now that Microsoft Teams is around. And there’s still development going on, there’s a Yammer tab in Teams, and also integration of various Office 365 services like Planner or Streams or getting into Yammer. Also the new Virtual Desktop was showed, where a Windows 10 desktop is hosted in Microsoft Azure, available anytime and for any device, and deployed in a couple of minutes. Oh, and autopilot, where a desktop is automatically installed with Windows 10 from Microsoft 365, Office Click-2-Run and your (personal) data in OneDrive for Business. Very impressive and you’ll see more of this popping up in (larger) organizations the upcoming years. More information regarding the technical sessions are to follow soon. After all, I’m a technical consultant and hope to get a lot of technical information here at Ignite. Stay tuned…. When my normal laptop died last week I had to use an older laptop, and this laptop had Windows 7 and Outlook 2010 installed, one of my personal favorite Outlook clients. However, Outlook 2010 did work correctly with Mailboxen in Exchange Online, but Outlook refused to work with Mailboxen on my on-premises Exchange 2016 server. The only thing I saw in the lower right corner was “Disconnected” and every now and then Outlook tried to connect, but no luck. When checking the Connection Status in Outlook I could see that the directory connection was established, but the Exchange Connections disconnected. The Exchange sever and mailbox were ok since I was able to connect using OWA and my Outlook for iPhone client. The Test Email AutoConfiguration option in Outlook wasn’t very helpful either, it just showed that it was unable to determine the settings and none of the Autodiscover options worked. 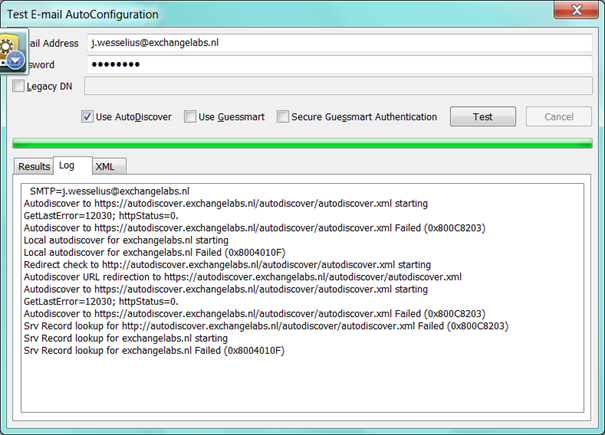 Using the Internet Explorer browser I tried to access my Autodiscover.exchangelabs.nl site, and after a logon prompt I got the famous ErrorCode 600. This is good, so I know my Autodiscover is at least listening properly. 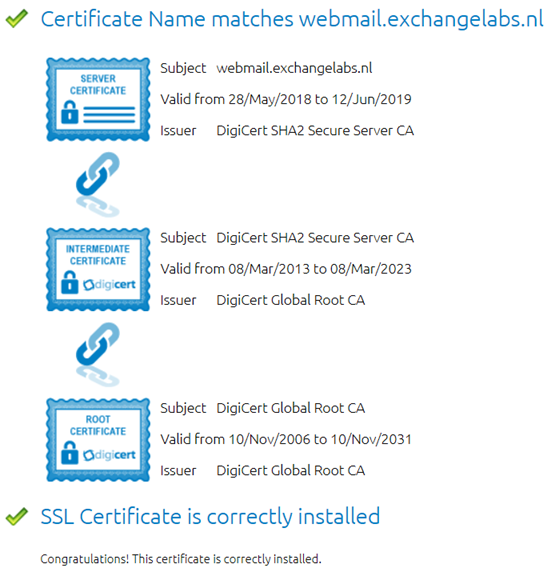 The SSL certificate however is a valid Digicert UC certificate and there’s nothing wrong with this certificate. IE does use it, and the Digicert help utility doesn’t show anything strange either. Oh, and my Outlook 2016 running on another computer did work correctly, so there should be a configuration error impacting Outlook 2010 only. Then I realized that a week before I accidentally ruined the Virtual Service on my Kemp Load Balancer and I quickly created a new Virtual Service using the correct template. 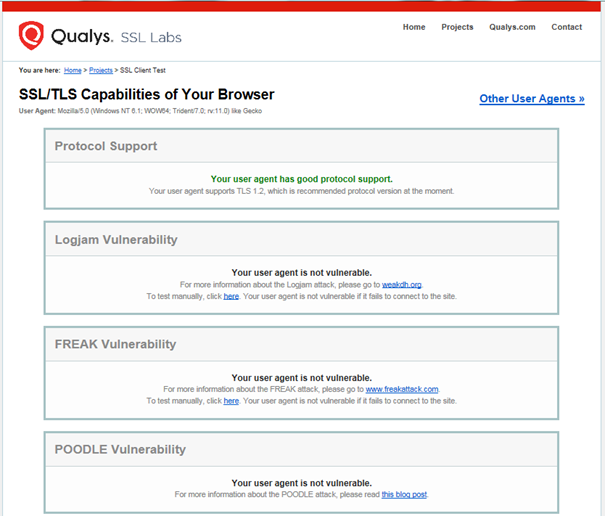 As a security measure I only selected TLS 1.2 on the SSL properties of the Virtual Service. 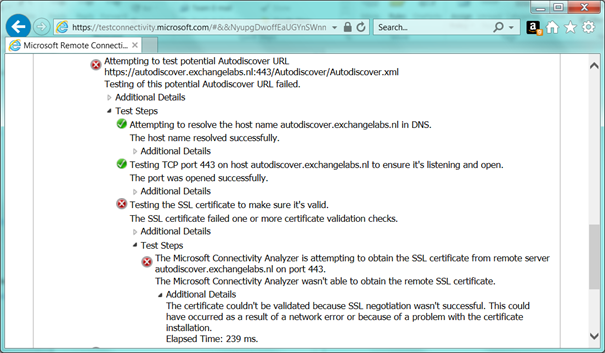 After enabling TLS 1.0 on the Virtual Service, Outlook 2010 started to work correctly again and (to my surprise) so did the Remote Connectivity Analyzer. So, obviously TLS 1.0 was the culprit here and by enabling TLS 1.0 Outlook 2010 started to work again. When needed create the necessary subkeys under the \Protocols key. Now your Windows 7 and Outlook 2010 will support a TLS 1.2 environment only (this is also true for Windows 8 BTW). Outlook 2010 does not support TLS 1.2 out of the box. This can be an issue if you or your network department starts implementing a TLS 1.2 environment only. You have to enable TLS 1.2 on the workstation by setting a registry key. After this it works fine. Next October Microsoft will stop support for TLS 1.0 and TLS 1.1. This means that if you run into an issue caused by TLS 1.0 or TLS 1.1 it won’t be fixed. Please note that Microsoft will continue to accept TLS 1.0 and TLS 1.1 connection from clients, it just won’t be supported anymore. Microsoft is working on a plan to disable TLS 1.0 and TLS 1.1 but that won’t happen anytime soon. When this is going to happen, Microsoft will give notification 6 months in advance of disabling TLS 1.0 and TLS 1.1. Last edited on October 26, 2018.